Love and a .38 will be Tearing up Scottsdale! Love and a .38 Invade the Roxy! 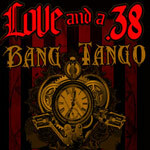 Love and a .38 opening for Bang Tango – April 29th.